The market is a social space for shoppers and sellers. 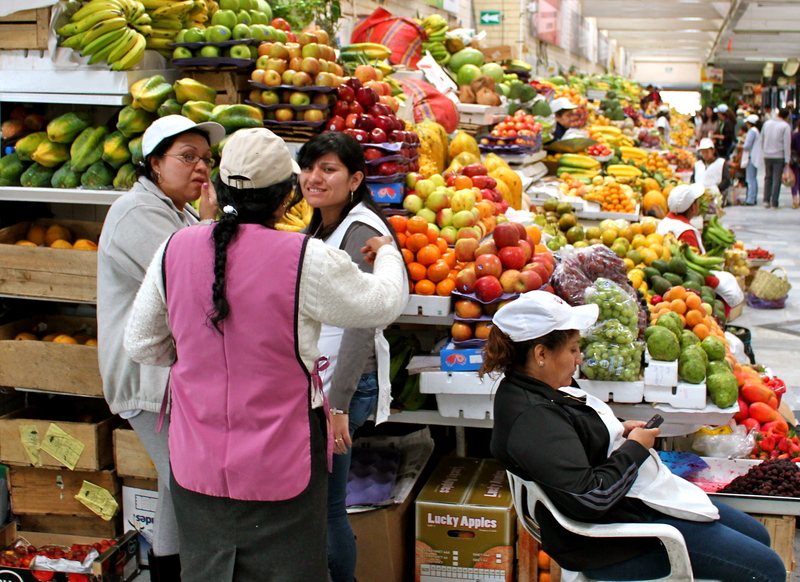 Supermarkets are a relatively new phenomenon in Ecuador. You can now find them dotting major urban areas. SuperMaxi, the more Wal-Mart-styled MegaMaxi, and the less popular Mi Comisariato are all reminiscent of grocery chains in the U.S. (though with a more limited selection). They have aisles stocked with pre-packaged goods, and neat, over-crowded checkout lines. But about 10 years ago, even wealthy Ecuadorians didn’t do much of their shopping at these markets; low-income people still don’t, especially if they live outside of an urban area. They go to places like Mercado Iñaquito. Bruno and I like to go there for less expensive, fresher produce, and a wider variety. Picture a Farmers Market in the U.S., but on a mega-scale. Producers have their own stands; many sell the same products. As a shopper, you have to find the produce that looks best and then get down to negotiations. Never pay what the seller first asks. Today we bought three small pumpkins. At first, the woman asked for $3 a pumpkin. We ended up paying $5 for three. You can also find the best variety at the market, like strange roots to boil and drink to improve your kidney health; every kind of fresh herb you could imagine; and fruits you have never even heard of. But perhaps the best part of the market is the atmosphere. Instead of feeling cold like a supermarket, it’s lively. People offer their goods as you pass. Most sellers are there with their children, so kids are running all over the place. Many mothers are even nursing their babies right next to their stands. 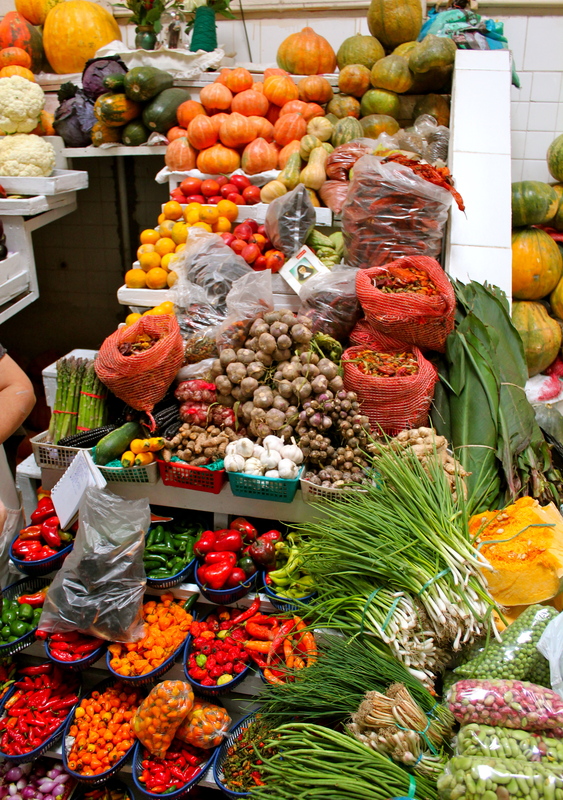 Shopping at the market is at least a little less tedious and certainly more of a cultural experience! This entry was posted in Ecuador, Food & Drink, Our Daily Life. Bookmark the permalink.